What Is A Divorce Coach And How Can They Help? If you are planning or anticipating a dissolution , retaining the advice and services of a good divorce lawyer is imperative, and in southern California, you’ll want to contact an experienced Orange County divorce attorney. Hiring the right divorce attorney is the key to making certain that your dissolution is handled properly, that you are treated fairly, and that your children’s best interests come first. WHO HIRES DIVORCE COACHES AND WHAT DO THEY COST? Your first thought may be that a dissolution coach is probably expensive – something that will drive up the cost of divorce. However, the coaches and some of their clients say that divorce coaches can actually save if money if you follow their advice. Instead of relying on an attorney or a healthcare professional for services like providing emotional support, dissolution coaches can offer non-legal services at a substantially lower cost. WHAT DO DIVORCE COACHES OFFER? 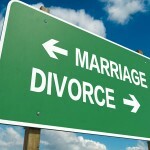 HOW SHOULD YOU SELECT A DIVORCE COACH? What makes selecting a dissolution coach a challenge is that anybody can claim to be one. There’s no degree in divorce coaching and no professional association that sets standards. So, to find a qualified dissolution coach, you’ll want to scrutinize a person’s resume closely and then interview the person. Choose someone with at least a master’s degree or at least five years of successful dissolution coaching experience. 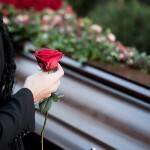 Make sure that a divorce coach is recommended by his or her previous clients. You’re probably going to want someone who works as a counselor or psychologist, who practices family therapy or family psychology, or a mediator who has a background in family mediation. You must have a divorce attorney, of course, but it’s not realistic to expect an attorney to handle every aspect of a dissolution. Your attorney will handle the legal side of your dissolution – the court dates, the filings, and negotiating the final divorce agreement on your behalf. A good attorney will fight relentlessly and tenaciously to ensure that you are treated properly in the dissolution process and that justice is served. But when you have other divorce issues, you may need to seek help elsewhere. Your attorney may be able to recommend a divorce coach or other resources in the community. Southern California has no shortage of counselors and advisors, both public and private, in every price range. CAN DIVORCE COACHES PREPARE YOU FOR DIVORCE? Sabrina Martin needed advice from someone who wasn’t a friend or an attorney. She sought the services of a local divorce coach who helped her even before she announced that the marriage was over. Sabrina’s coach encouraged her to look past the dissolution to the future she wanted for herself and her daughter. When she learned that her husband was having an affair, Sabrina’s coach helped her find some perspective. Thanks to that preparation, Sabrina’s consultations with her attorney were quite productive, and a final agreement was reached in less than two months, keeping the total cost of her dissolution quite affordable. “Emotions are a huge component of divorce,” says Lynn Kaplan, a Toronto-based didissolution vorce coach with a background in mediation and family law. She adds that if the emotional side of dissolution isn’t handled properly, it can spill over – negatively – to the legal side. WHAT WILL A DIVORCE COACH RECOMMEND? Be unmistakably clear and precise about what you want: Too many divorcing spouses simply endure the dissolution process to get it over with. When you know what you want, you have a purpose and you have a goal to reach for. “Silence your saboteurs”: Acknowledge your own fears and the criticisms of others, then set those fears and criticisms aside and move ahead constructively. Respect yourself: Stand up for yourself, and never let yourself feel humiliated or defeated. Retaining your honor and dignity is the key to retaining your emotional health and to coming out of a divorce prepared to move forward with life. Ms. Miolla also writes that, “Divorce challenges you to have the courage to step forward, to face your fears and move forward anyway. You have one life on this earth and it is your responsibility to live it as best you can. No excuses.” If you want to come out of a dissolution prepared to move forward positively and constructively with your life, consider the option of hiring a dissolution coach. You’ll need an attorney as well – that’s not an option – so in southern California, make sure that if you are divorcing, considering dissolution , or if you simply need to learn more, you retain the services of an experienced Orange County dissolution attorney. The dissolution help you need is here, and an experienced dissolution attorney can recommend a good divorce coach, but you must take the first step on your own and make the call. Brian A. Bayati has been named three times as a top Orange County divorce attorney by OC Metro Magazine. He graduated from the University of California, Hastings College of the Law, where he was a judicial extern to the U.S. Court of Appeals (9th Circuit) and a public service mediator. Prior to founding Bayati Law Group, he was part of a civil litigation firm with offices across the nation. Bayati Law Group focuses exclusively on the practice of family law. Are There More Divorces In Tax Season?